With so much milk in our freezers, I’ve turned to making cheese batches everyday. One or two gallons of milk yields about 1.5 pounds of cheese, sorta maybe. Wanna guess what our friends and family will be getting for Christmas? Didn’t think so. 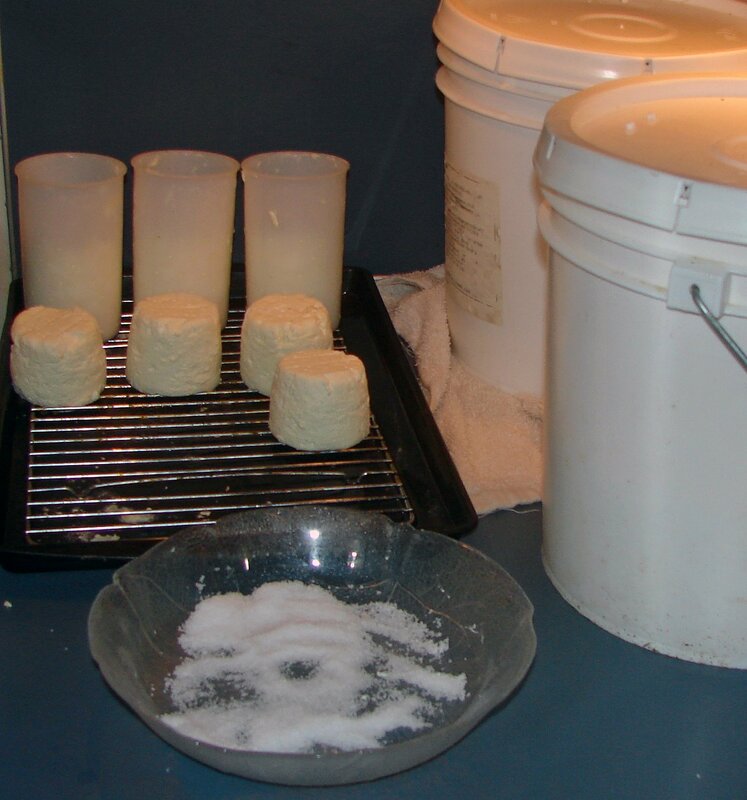 So far I’ve made soft or cherve-type cheeses. Some have pepper, some have added cream, but all are goat milk cheeses. What fun these are to make and it is so easy. Working with goats, we always have plenty of milk. That’s why we make goat milk bath soaps & beauty lotions professionally. Working with milk everyday is kinda cool. I’m either making soaps, lotions, or cheeses. What fun! Let me know if you’re interested in learning how to make goat milk soaps. I’m thinking about adding a Recipe section to my website.